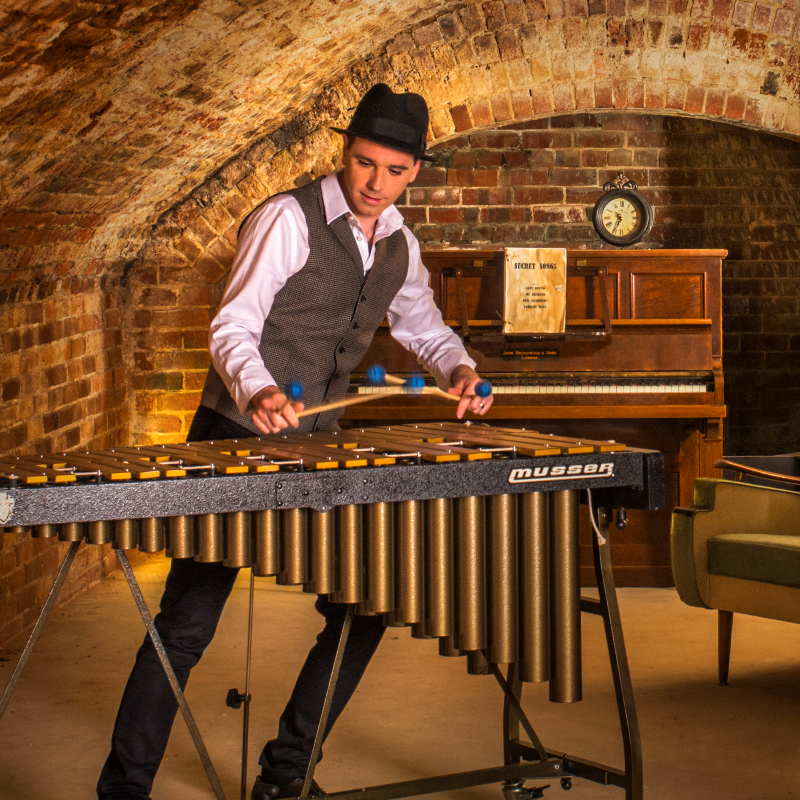 Award winning vibraphone virtuoso Nick Parnell swaps the concert hall for a one-off, intimate, pop-up style gig in the vintage inspired saloon, The Jade. Seated up close, you'll be immersed in the smooth, intoxicating sounds of Parnell's vibes as he seamlessly melds pop, jazz, world and classical music into one living twist of musical enjoyment! Nick Parnell is celebrated as one of the most exciting vibes players in the world today. Born in the Australian outback, he began teaching himself drums in his parents’ sheep shearing shed at the age of ten. Such humble beginnings ignited a passion in Parnell that has led to accolades including first place in the International Melbourne Percussion Competition, a Centenary of Federation Medal awarded by the Australian Government and the Dame Roma Mitchell Churchill Fellowship. He holds a PhD from the University of Adelaide (Australia). A musical percussion instrument with a double row of tuned metal bars each above a tubular resonator. Contains a pedal to control sustain. Most impressively (and physically) played with four mallets. Emits a smooth singing tone.